The HomeKit App for iPhone, iPad and iPod touch. With HomeDash you can create dashboards and control your HomeKit devices conveniently via beautiful designed widgets. The widgets are highly customizable and allow you to control and observe single devices or entire groups or rooms of devices. The possibilities are endless. 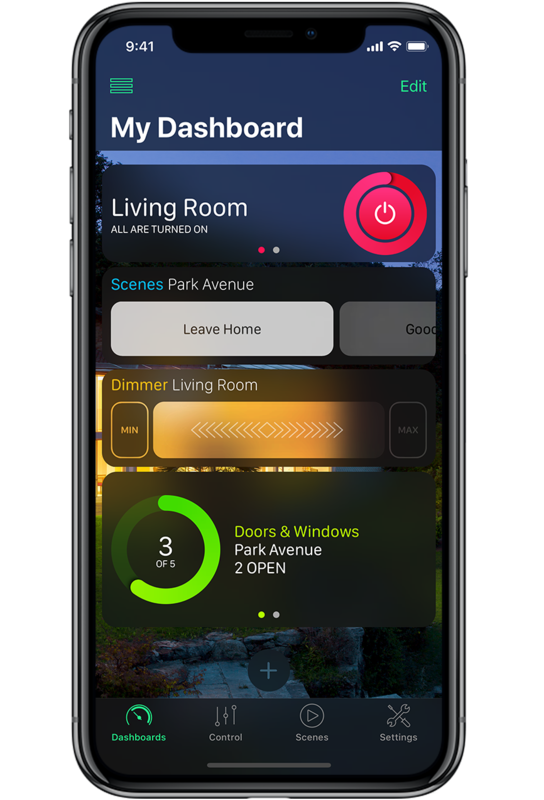 HomeDash allows you to setup, manage and control all kind of smart home devices that are compatible with the Apple HomeKit standard. The app has been developed with a clear focus on user experience, stability and performance. You can easily add new HomeKit devices, create rooms, zones and groups. Save your preferred settings as scenes. Execute them from the app, Siri, your Apple Watch or directly from the iOS home screen (only available on iPhone 6s and iPhone 6s Plus and later). Rooms let you arrange and control your devices by their actual physical location. For example, tell Siri to turn on all lights in the living room. Several rooms can be grouped to one zone. You can use zones to describe different areas of your home (e.g. “upstairs” for all rooms in the upper floor). Service groups allow you to address several accessory services as a single entity. You can create a service group “Ceiling Lights” to control all ceiling lights at once. Scenes let you set various device settings with a single command. With HomeDash it is easier than ever to create, manage and execute individual scenes. 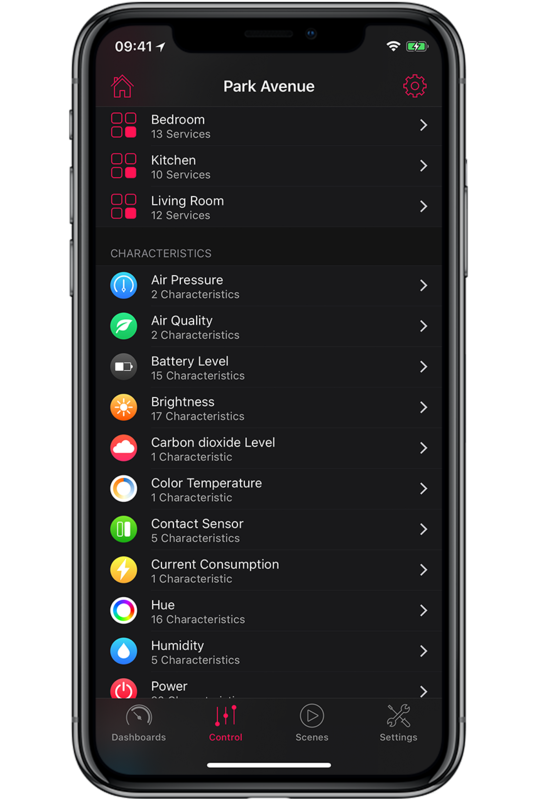 The scene creator lets you pick the current state of all relevant HomeKit devices conveniently. 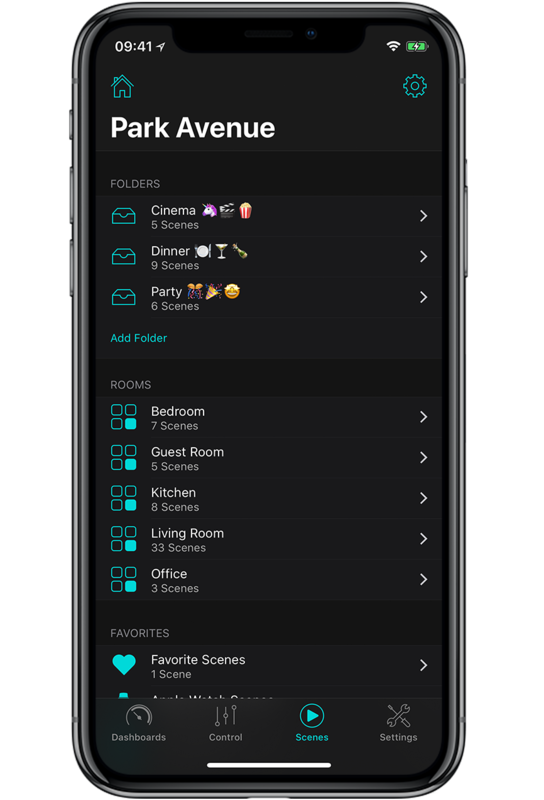 To find your preferred scenes more quickly, you can create folders and manage the scenes by mood, room and devices. The possibilities are endless. Use emoticons in your folder names to give HomeDash your personal touch. You can execute the scenes from the HomeDash app, from HomeDash for Apple Watch or directly from your home screen via quick actions on iPhone 6s and iPhone 6s Plus or newer. HomeDash for Apple Watch allows you to activate your favorite scenes directly from your wrist. You can store up to 10 scenes that will be available immediately on your watch. Via force touch, HomeDash for Apple Watch allows you to turn off all devices by a single tap.